Howard Levy has been nominated for a Grammy for Best Instrumental Composition as co-writer of "Life In Eleven" from the Flecktones album Rocket Science. Levy teaches harmonica lessons online at the Howard Levy Harmonica School, which has students from over 40 countries around the world. This is Levy's second Grammy nomination with the Flecktones, having won Best Pop Instrumental in 1997 for the song "The Sinister Minister". Rare Bird Alert, the latest album from Steve Martin and the Steep Canyon Rangers, has been nominated for Best Bluegrass Album and was produced by the celebrity entertainer's private teacher, Tony Trischka. 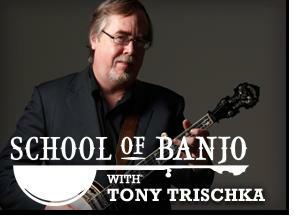 Trischka started the Tony Trischka School of Banjo in 2009 which has quickly became the world's leading website for learning banjo online. It was based on this success that Tony encouraged his friends Darol Anger (fiddle), Mike Marshall (mandolin), Bryan Sutton (guitar) and Missy Raines (bass) to start their own online schools, which together became the ArtistWorks Academy of Bluegrass. Jazz pioneer Billy Cobham plays drums on the Donald Harrison album This is Jazz, of which Ron Carter was nominated for Best Improvised Jazz Solo on "You Are My Sunshine". Cobham launched the Billy Cobham School of Drums online last week to critical acclaim and drummers around the world are now learning drums online directly from a drum legend. The online music schools from Howard Levy, Tony Trischka and Billy Cobham contain hundreds of high-quality video music lessons that start at a fundamental level and gradually progress to the advanced level. Unlike other static learning methods seen before on DVD or other websites, each school uses ArtistWorks' groundbreaking Video Exchange technology which is currently revolutionizing music education. All of ArtistWorks' schools take full advantage of high-resolution video, multi-angle camera view selection, cutting-edge social media tools, and the Internet's vast interactive capabilities to create a robust learning environment. Not only do the schools offer hundreds of real-time and slow motion lessons available 24/7, they enable teaching through personalized video exchanges to anyone at anytime. Founded in 2008 by former AOL executive David Butler, ArtistWorks' visual education format allows hand-selected musicians to teach students all over the world by presenting their full method in a series of high-quality video lessons online. Students are able to submit videos to their teachers for custom and personalized critique and guidance – creating an individualized educational experience. ArtistWorks currently offers curriculums from such world-class, virtuoso artists as: Billy Cobham (jazz drum lessons), Andreas Oberg (jazz guitar lessons); Howard Levy (harmonica lessons); Martin Taylor (fingerstyle guitar lessons); Thomas Lang (rock drum lessons), DJ Qbert (DJ lessons); Christie Peery (piano lessons); and the ArtistWorks Academy of Bluegrass with Tony Trischka (banjo lessons), Mike Marshall (mandolin lessons), Darol Anger (fiddle lessons), Bryan Sutton (guitar lessons), Missy Raines (bass lessons), and Andy Hall (dobro lessons). The 2012 Grammy winners will be announced February 12.